To be fair it wouldn't be too much of a game if you could just run blindly about in every mission with a sense of invulnerability. 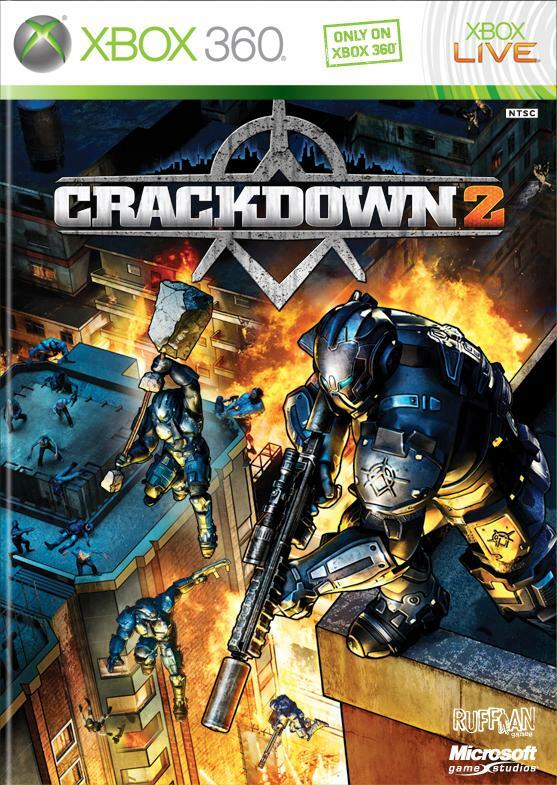 And to be fair to Crackdown 2, you usually can :). My interpretation is that you're a badass up to the level of dealing with 20 guys at once. Then you're in trouble. Which I think is fair enough. That's how it was for me in the first one. I had fun collecting the agility orbs, but I couldn't take a gang hideout to save my life. I'd run in, someone would throw a grenade/rocket at me, and then 30 guys would shoot me as I spun helplessly in the air. It never seemed to get any better as I progressed, so I gave up on the missions. I found armed with a homing rocket launcher, a big vertical jump and all four health bars I could storm almost anything as long as I kept moving and kept an eye on incoming explosives. It wasn't until the very end where everybody had rockets that I had to hide. Oddly enough, I had the exact problem you are describing with Prototype. I couldn't stand still for a half second without being turned into a human ping pong ball by the end of the game. For several missions all I could do was run up a building far away and dive bomb straight onto my target, which was a really difficult move to aim. I really loved how that game handled movement though, someone should mix Crackdown with Prototype... and maybe a bit of Just Cause 2, I haven't played it yet so I dunno. Well, if you ran in like Chuck Norris and killed everyone in the blink of an eye, that wouldn't be all that fun, would it?